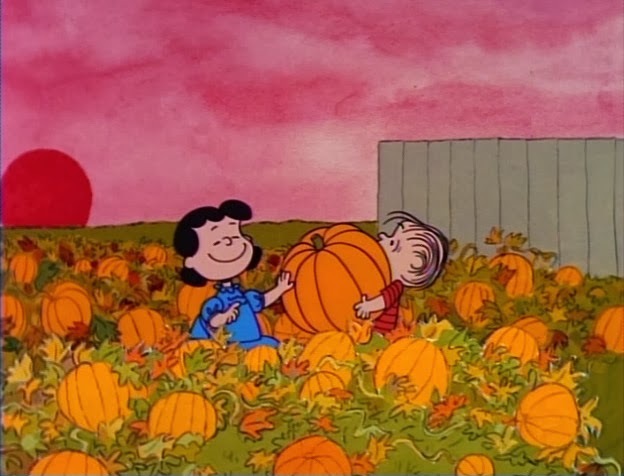 It's the Great Pumpkin, Charlie Brown will make its annual visit to television screens on Halloween night, Thursday, October 31, 2013 from 8-9 PM (Eastern/Pacific) on ABC. Happily, unlike last year, ABC is giving the classic Peanuts special an hour-long time slot, so it will air unedited together with a shortened version of You're Not Elected, Charlie Brown. If you missed the show, you can watch it online at hulu.com during the first couple of weeks of November. 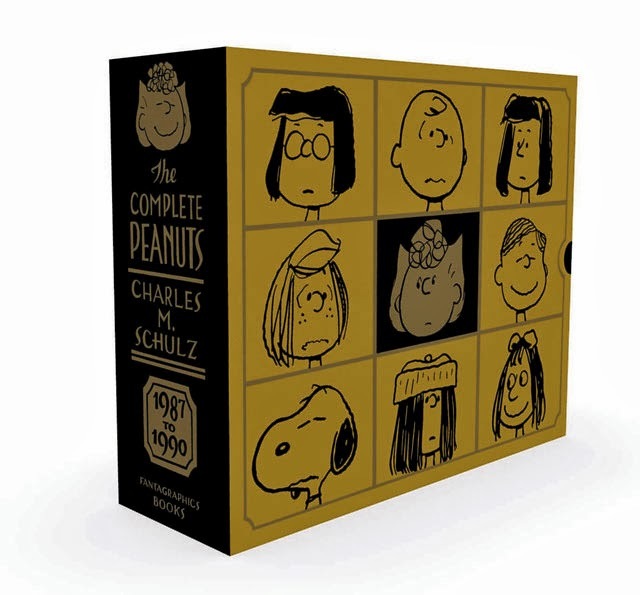 The Complete Peanuts 1989-1990, volume 20 of Fantagraphics' ongoing reprint series of every Peanuts comic strip, is now available. It arrived in comic books stores this week, is shipping if you order directly from Fantagraphics, and Amazon orders should start going out very soon. 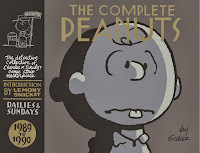 This 20th volume is particularly dense with romantic intrigue, as Marcie and Charlie Brown end up at camp together, sending Peppermint Patty into mad jealousy (especially since Marcie can't resist teasing her)... and an old friend of Charlie Brown's attempts to look him up again but confuses him with Snoopy and goes on a date with him instead. 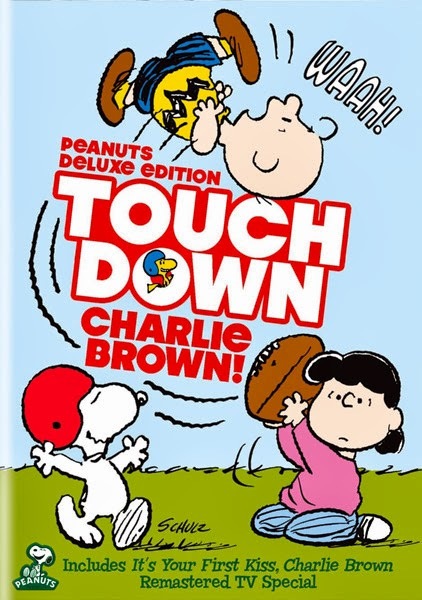 But the most crucial event in romance is Charlie Brown's romance with Peggy Jean — even though he's so flustered in his first conversation with her that he ends up stuck with the name "Brownie Charles" for the duration of her relationship ("I kind of like it..."). 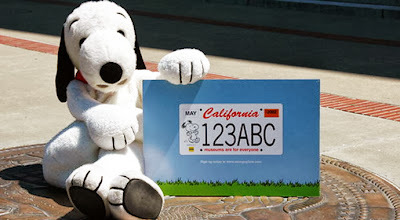 This volume also introduces yet another Snoopy sibling, Olaf, who is humiliatingly invited to enter an ugly-dog contest (and, even more humiliatingly, wins). 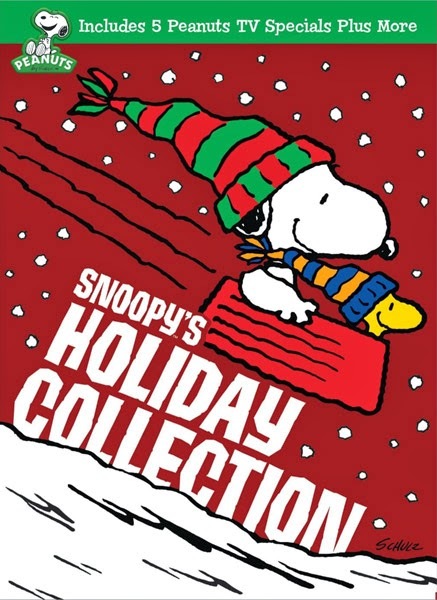 Plus lots of Zen-like Spike-and-cactus strips, Sally Brown non sequiturs, D-minuses for Peppermint Patty, and wise thoughts from Franklin's grandpa... Snoopy treks through the wilderness as the Beagle Scoutmaster and through the desert as the World Famous Sergeant of the Foreign Legion, Woodstock takes a whack at being the King of the Jungle, Lucy enjoys Michael Jackson on her boom box, Marcie's perfectionism leads to a crack-up, Pigpen runs for class president, Snoopy gets called to jury duty... and for a change, Lucy pulls the football out from under Charlie Brown. 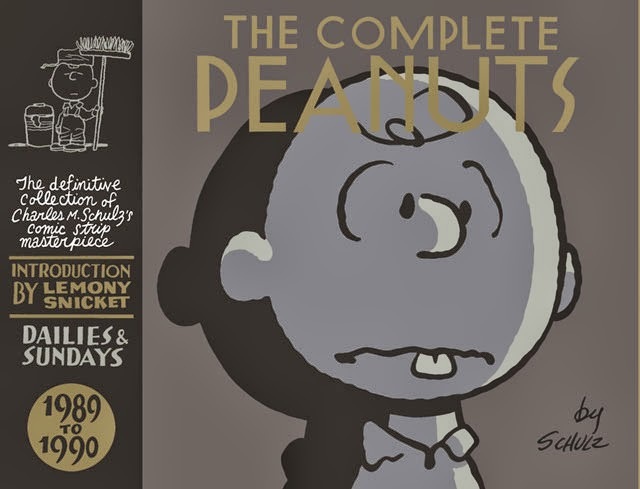 You can see a 15-page PDF preview and more images of the book at Fantagraphics' website. 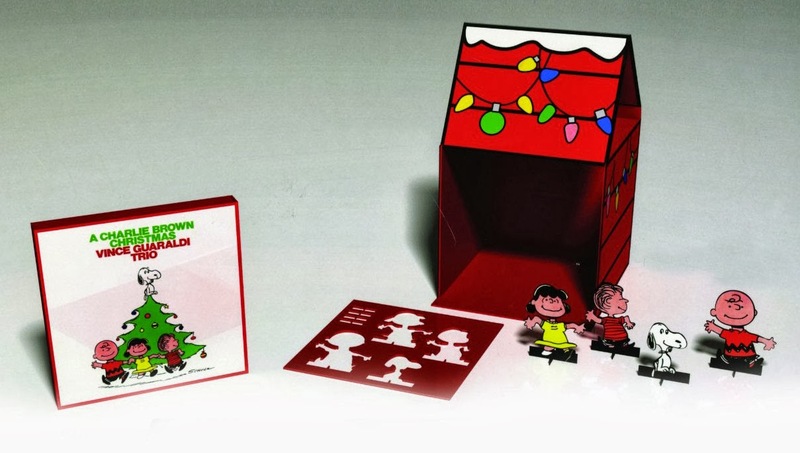 The latest two-volume box set, The Complete Peanuts 1987-1990 Gift Box Set, containing The Complete Peanuts 1987-1988 (released spring 2013) and the just-released The Complete Peanuts 1989-1990 together in a thick cardboard slipcase, is also out and likewise can be ordered directly from Fantagraphics or Amazon. 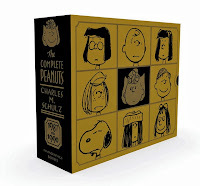 You can see an extensive preview of the box set at the Fantagraphics link.